In Virginia, no stems, no seeds that you don't need? | Jon Katz, P.C. In Virginia, no stems, no seeds that you don’t need? Mar 17, 2010 In Virginia, no stems, no seeds that you don’t need? In Virginia, so long as one-half ounce or less is involved, distribution and possession with intent to distribute marijuana is only punishable as a misdemeanor rather than as a felony. Va. Code § 18.2-248.1. 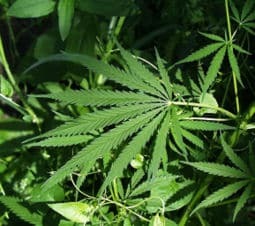 In the present case, Brown does not contest that the plant material is marijuana and that at least some portion of plant material was part of a plant of the genus Cannabis. Moreover, Brown implicitly concedes that the evidence is sufficient to find him guilty of simple possession of marijuana. Brown’s argument relies on Hill and its analysis of the version of Code § 54.1-3401 in effect at that time; that is, before critical and significant changes were made to this code section by the General Assembly. Under its current structure, Code § 54.1-3401 provides that any stalks, fiber, oil or cake that were also present with the plant material are necessarily “combined with other parts of plants of the genus Cannabis” to meet the definition of marijuana for purposes of statutory construction. Therefore, any stalks that may have been present in the plant material at issue in this case are considered marijuana under the statute and it was proper to include them in determining the total weight. Brown v. Virginia, ___ Va. App. ___ (March 16, 2010). Brown traces the history of Virginia’s amended definitions of marijuana, with the current definition being: “‘Marijuana’ means any part of a plant of the genus Cannabis whether growing or not, its seeds or resin; and every compound, manufacture, salt, derivative, mixture, or preparation of such plant, its seeds, or its resin. Marijuana shall not include any oily extract containing one or more cannabinoids unless such extract contains less than 12 percent of tetrahydrocannabinol by weight, nor shall marijuana include the mature stalks of such plant, fiber produced from such stalk, oil or cake made from the seeds of such plant, unless such stalks, fiber, oil or cake is combined with other parts of plants of the genus Cannabis.” Va, Code § 54.1-3401.